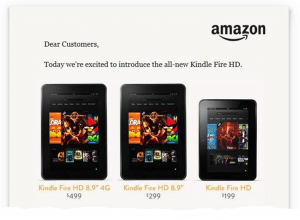 Last week, Amazon announced its new Kindle line up. There’s a lot being said about the red-hot competition between the Kindle Fire, the iPad, Google’s Nexus tablet, and Microsoft’s Surface tablet. But what drew my attention most of all was Amazon’s announcement about greater parental controls. The new Kindle Fire tablets will include an app called Kindle FreeTime for enhanced parental controls. Parental controls on the Kindle took a big step forward this past May with the 6.3.1 release, adding the ability to password protect purchases and disable access to specific content. Amazon’s Kindle FreeTime app goes further, allowing parents to set time limits based on the type of content their children are viewing, such as games or videos. It will also support setting different policies for different children. The first of these devices is not available until Sept 14. Judging from the commentary on the Web, there's a lot of interest in these features, but at this stage there are also a lot more questions than answers. Will the Kindle FreeTime app be available for v1 Kindle Fire tablets? That’s unclear. Will it support time-of-day restrictions, such as “no games after 8pm”, as well as total activity time? The answer seems to be No. What about filtering by age-appropriateness of content, not just by content type? There’s no indication Amazon will have this. Will the time controls also cover books, for those parents whose kids read too much or too late into the night? No. Apparently Jeff Bezos thinks that there’s never too much of a good thing when it comes to reading, even if it’s at the expense of homework or a good night’s sleep. As a parent of a 12-year old girl, one who buys too many Kindle books in general and who, lamentably, has begun to gravitate towards literary content more appropriate to a 16 year old, I find Amazon is not providing me with the controls and oversight I would like. But for my 10 year old boy who is content spending his entire day hunting zombies, Kindle FreeTime is completely sufficient. What are your feelings about parental controls for Kindles and other tablets? What works for you? Have you found any good ways to limit or monitor your child's activities? What are your wishes or frustrations with the devices as a parent?